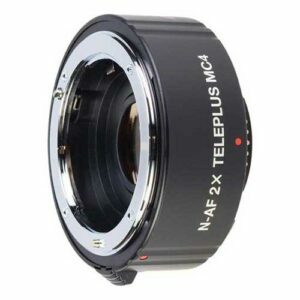 Lens Description: The Kenko TelePlus MC4 AF 2.0X DGX Teleconverter (also known as a tele-extender) gives you the dramatic effect of doubling the focal length of your lens by 2x, and will cut back the amount of light by 4x (2 f/stops). The MC4 features a 4-element, 4-group design with multi-coated lens elements, and fully automatic diaphragm coupling. 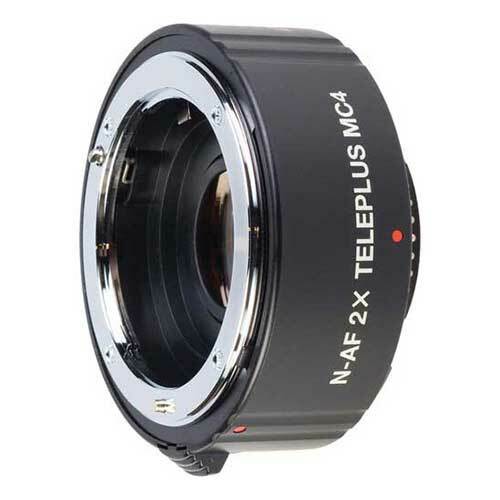 With the Kenko TelePlus MC4 DGX your prime lens\' depth of field is reduced by 1/2, but retains the prime minimum focusing distance. Using a 2x teleconverter with a 300mm lens will effectively increase the focal length to 600mm. A lens set to f/2.8 will now be f/5.6.